Since December I have been working for the “Associação Caboverdiana de Luta Contra a Violência Baseada no Género” a local civil society organization that works with women’s rights in general and more specifically with gender-based violence. 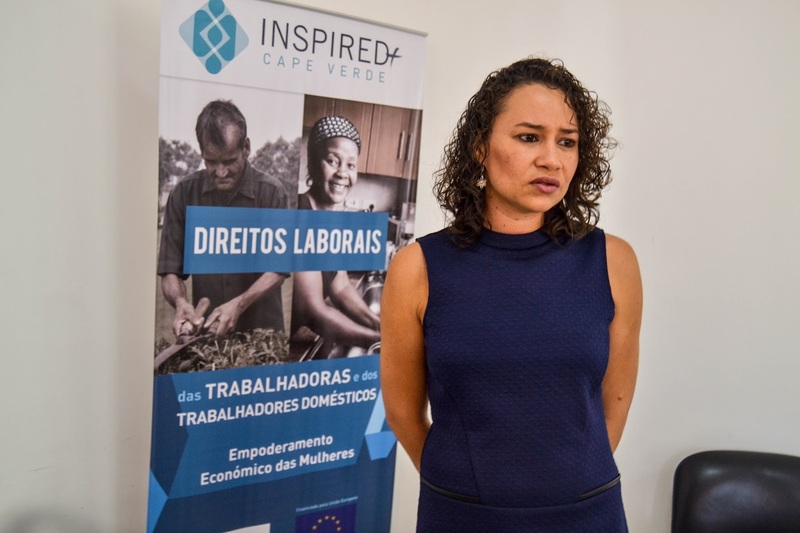 I am specifically managing a project called “INSPIRED+ Cape Verde” which aims to build consensus on domestic workers’ labour rights, through the promotion of dialogue between all stakeholders, in accordance with UN Conventions concerning gender equality, namely CEDAW and ILO 100 and 111 – all ratified by the government of Cape Verde. Raising awareness, the project has the objective of creating favourable conditions for the approval and dissemination of domestic labour regulations, so that female domestic workers may have access to social security and perform their job functions in a dignified manner. The dialogue process includes all stakeholders, in different moments and modalities. Partners with technical expertise, as well as political agents, decision makers, monitoring agents, lawmakers, domestic workers, trade unions, women’s organizations, among others, will be deployed. INSPIRED+ “Integrated Support Programme for Institutional Reform and Democratic Dialogue” is a project financed by the European Union, implemented in nine countries which main objective is to contribute through participatory and inclusive policy dialogue to the monitoring and the effective implementation of the specific international core conventions ratified by GSP+ (EU Generalised Scheme of Preferences) beneficiary countries. Each country chooses which public policies (related to part of the conventions) they should address. Internationally the project is managed by “European Partnership for Democracy” which chooses a local host civil society organization to partner with. 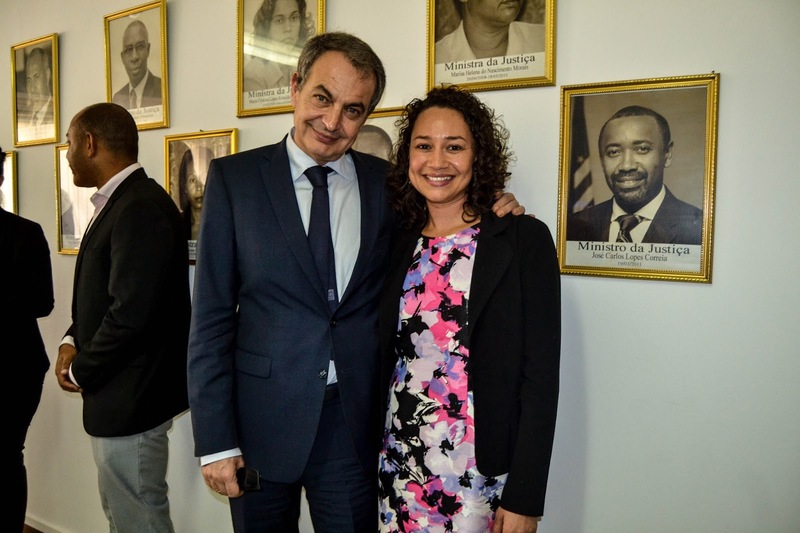 Recently we received former Prime Minister of Spain José Luis Rodriguez Zapatero as a member of The World Leadership Alliance Club de Madrid, also a partner organization in the implementation of the project, to give visibility to the project among government authorities. The mission was very successful. Now we are going on with the other activities, namely bilateral meetings with the stakeholders as well focus groups, workshops, identification of public policy indicators, among others. I am very excited with this new experience and the opportunity to finally work directly with a project in the social field, with a local and international NGOs. Since I returned from the Humphrey Fellowship year this is the closest I have got to my objectives of shifting my career. It has been a challenge, hard work and learning everyday in many ways. I am glad, satisfied and thankful for the opportunity I had with the Humphrey Fellowship Program and now, to actually make things happen and bring about change in my country. I hope this is just the beginning! When at the Humphrey School of Public Affairs on her Fellowship, Ms. Vera-Cruz was a Business Analyst and Software Project Manager for Prime Consulting, a Cape Verdian Software Enterprise. She had been working on the Integrated Human Resource Management System, but had aslo worked on several projects related to E-Government in her country and abroad. She represented Cape Verde at the One Young World Summit and was a delegate speaker in the Transparency and Integrity Plenary Session. She earned a degree in computer engineering from Pontifical Catholic University of Campinas and a master degree in geographical information systems from the University of Cape Verde.